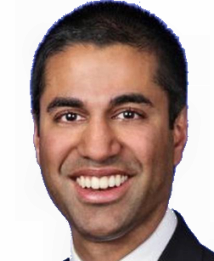 FCC Chairman Ajit Pai (pictured) has announced that the agency will open up its required quadrennial examination of media ownership rules at the FCC's Open Meeting on December 12 meeting, specifically examining rules affecting local media markets. The review will begin with a Notice of Proposed Rulemaking which seeks public input on the relevant rules, such as the Local Radio Ownership Regulations, as well as several diversity-related proposals. In a blog post, FCC Chairman Ajit Pai wrote, "As part of the Commission's ongoing Modernization of Media Regulation Initiative, we will also consider an order to eliminate certain rules that require broadcast licensees to maintain and display copies of their licenses and other related materials in specific locations, such as at their transmitter sites. Now that licensing information is readily accessible online through the FCC's databases, these rules are redundant and obsolete." 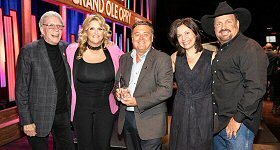 In a proposal by the National Association of Broadcasters earlier this year, NAB would like the Commission to allow a company to own up to ten stations in the largest markets, with no limits on how many of those stations are FMs or AMs. The Commission will likely seek comments on such questions as whether the AM/FM subcaps should be modified or abolished and whether the current ownership caps should be kept or loosened.